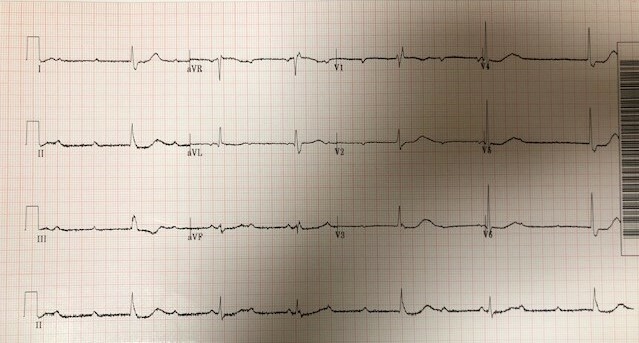 An 88 y/o male presented to the ED after syncopal episode. Vital signs: Pulse 40, Respirations 14, BP 130/80. The EKG is below. 1. 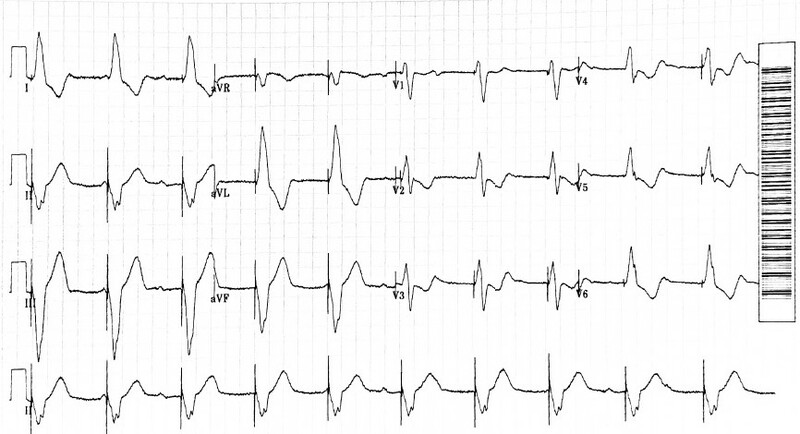 What rhythm is demonstrated on this EKG? The rhythm is 3rd degree AV block (AKA complete AV block). The patient is stable. Atropine can be attempted but is unlikely to be successful. Pacing pads should be placed on the chest. A cause of the heart block should be sought. 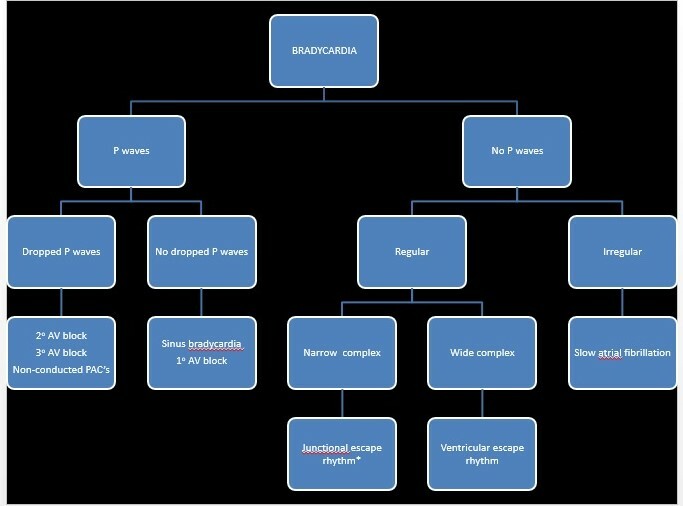 The EKG demonstrates a bradycardic rhythm at a rate of approximately 30. 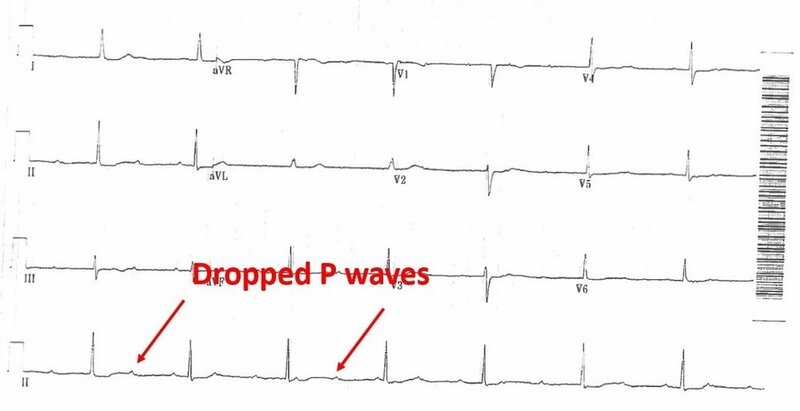 P waves are present but there are dropped P waves. The RR intervals are regular and the PR intervals are irregular. This is consistent with 3rd degree AV block. 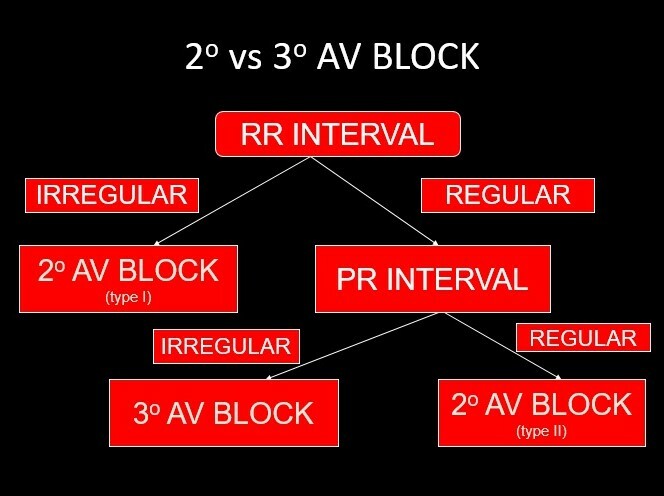 Differentiating 2nd degree from 3rd degree AV block can sometimes be difficult. The following algorithm is useful. If the patient is unstable, they should be treated with a transcutaneous pacer followed by a transvenous pacer. If the patient is stable, reversible causes should be sought. These include hyperkalemia, and toxicity from digoxin, beta blockers or calcium channel blockers. If no reversible cause is identified, the patient will need a permanent pacemaker.